DNA were a punk/goth rock band based in Kildare active between 1988-91. They changed their name to Terra Firma after the UK band DNA had their hit with Suzanne Vega's "Tom's Diner" in 1990. 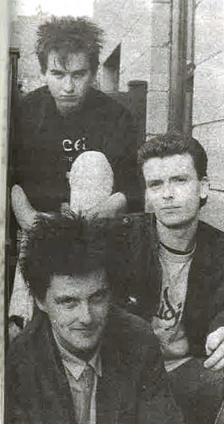 DNA recorded three demos, all of which were played by Dave Fanning. They supported The Subterraneans, Tuesday Blue, No Sweat, In Tua Nua, a.o.